I’ve been in California for two weeks now, and this week due to mild reentry shock I’m noticing American cultural tidbits. In the United States, the concept of “manhood” is linked to meat eating. A Google image search of the words “man food” will quickly turn up an eyeful of photos that illustrate the cultural belief about manliness and meat eating in an unmistakable way. Cooking, traditionally considered a woman’s duty, becomes a masculine task when meat is involved and the cooking is performed outside on a grill. Barbecues are generally marketed and sold to men in America, and their use is typically the dominion of men. American men who opt for a meal of vegetables instead of meat are viewed as less masculine, according to both males and females surveyed in the research. In the United States meat eating to declare one’s masculinity can be augmented with giant “man size” portions of meat. Huge servings of food seem to also be uniquely American. It’s a cultural phenomena that doesn’t seem to exist in Taiwan. Taiwanese men eat vegetables without the antagonizing jeers of other men calling them wimps or cream puffs. The relationship between food and masculinity is absent. So if meat doesn’t make you a man in Taiwan, what does? What sort of things define Taiwanese masculinity? I really don’t know, but I’m interested in investigating this question. I’d love to hear your ideas and thoughts on this topic. Please share in the comments below. Have you worked hard to learn a language and now worry about forgetting it? Are you an intermediate or advanced language learner and you want an immersion experience but aren’t able to move to a country where your target language is spoken? There are many ways to remain engaged with your target language, even when you lack opportunities for total immersion. A simple yet helpful technique I employ is to change all of my electronic device settings to Spanish. But doing this I am constantly interacting and thinking in Spanish whenever I use my mobile phone, iPod, Kindle, or computer. This is most helpful if you are an intermediate or advanced language learner. For example, if I were to change the language settings on my devices to Chinese, I would be lost because I am still a beginner. It may feel awkward at first, but stick with it. It will trigger you to think in your target language. How can we differentiate a language from sounds? If we heard an alien language, how would we know it’s a language and not just noise? How can we know if the sounds animals make constitute a real language? What do all languages (alien, animal & human) have in common? Science now has answers to these questions. This six minute video excerpt from Through the Wormhole, offers a fascinating yet obvious explanation for what defines a language and what all languages share in common. What it reveals is shocking, heartwarming and might just give you goosebumps. 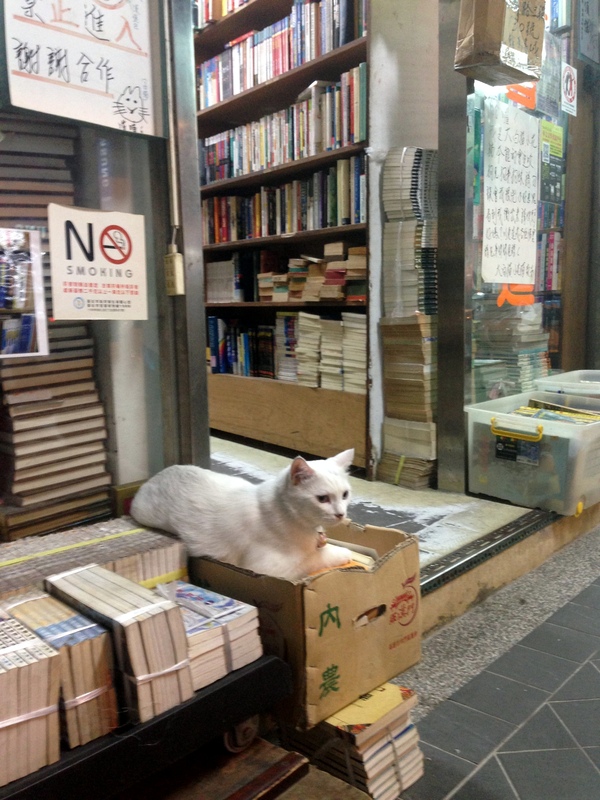 This kitty feels at home in the book shop and is known to be quite the bookworm. How do you say bookworm in your target language? Shopping In Italy: I Had To Have It! I went to Rome late last winter to celebrate my birthday. Italy has been on my radar for as long as I can remember. My mom is a first generation Italian-American, and I grew up with Italy’s language, food and culture peppered in my life. I’ve learned to speak some Italian, and I can understand quite a bit. 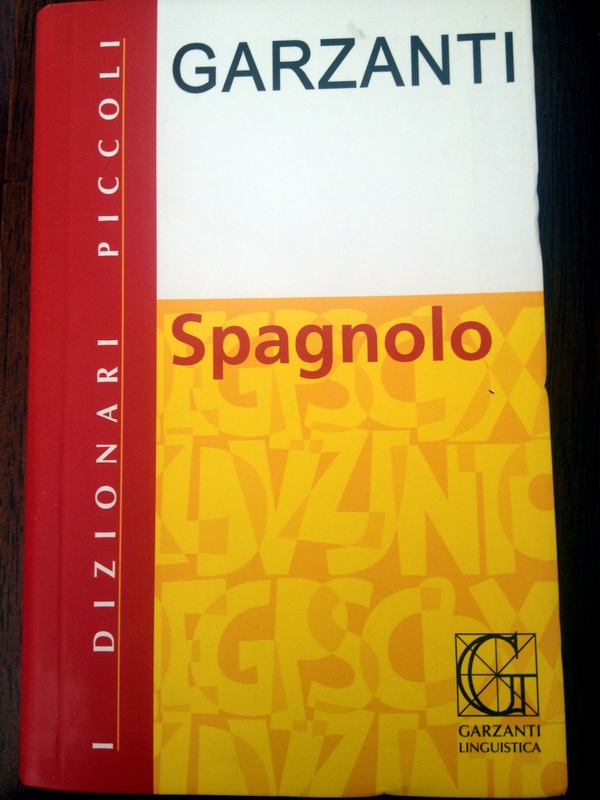 I have been passively learning Italian for a couple of years. Italy offers some of the most exquisite shopping: luxury sports cars, designer fashion labels, sumptuous handbags and shoes all come to mind. While I was there I wanted to do a little shopping. But not for the usual Italian goods. I sigh in acknowledgment of the language nerd in me as I write this: I wanted a dictionary. Italian is more similar to Spanish than English. When I try to speak Italian, or comprehend it, I often flip into Spanish, my other fluent language. It seems easier and more intuitive to translate between Spanish and Italian. English is a greater leap, not only with words, but it employs a more dissimilar grammar as well. I wanted to bypass English altogether and flow between Italian and Spanish. But I haven’t been able to find a Spanish-Italian dictionary, not even online. So I set out to buy one in Rome. Eureka! I happened upon a bookstore that stocked a wall full of dictionaries, with several choices for Italian-Spanish dictionaries. I spent a long time considering each option, reading samples and keeping in mind the small size of my suitcase as well as weight limits for baggage. I decided on a medium sized, medium priced dictionary. The rest of the trip I enjoyed flipping through its pages and reading the Italian and Spanish translations. But when I moved to Taiwan I left the dictionary behind, thinking I would focus only on learning Chinese. I’m back in California for a visit, and enjoying my Spanish-Italian dictionary once more. Perhaps next time it will travel back to Taiwan with me?